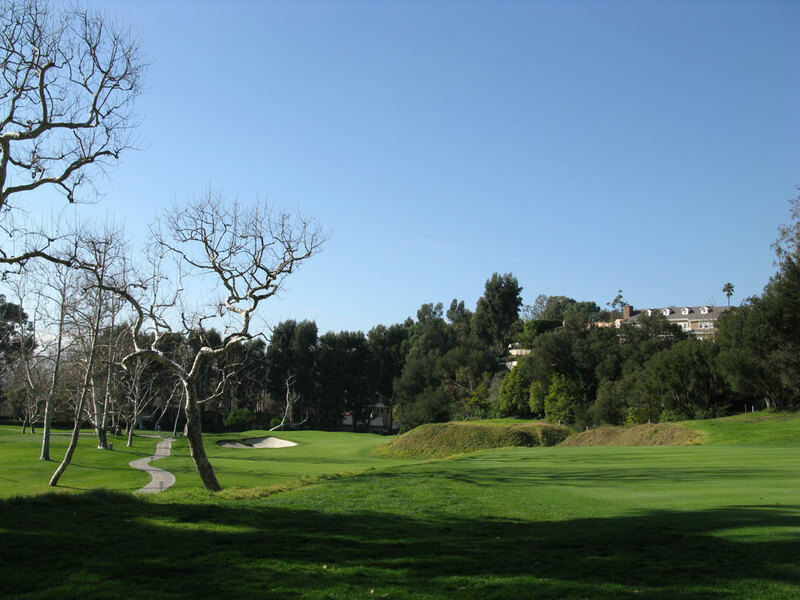 Course Website: Official Website - Visit Riviera Country Club's official website by clicking on the link provided. 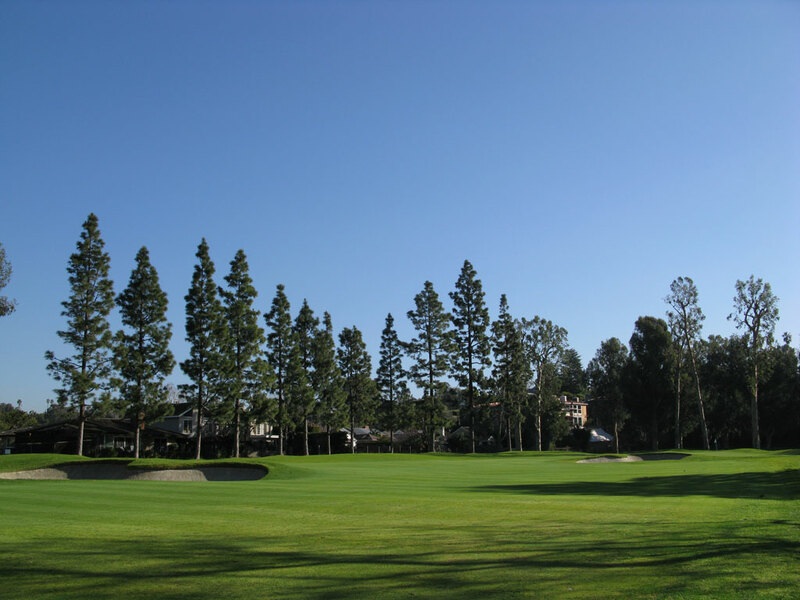 Accolades: Ranked 4th in California on Golf Course Gurus' Best in State list. What to Expect: Riviera is one of the most storied and internationally revered clubs on earth. Masterfully designed by the legendary George Thomas, visitors are always amazed when they see the photos in the clubhouse that were taken during construction of the course and display a treeless piece of property being worked over with by hand with primitive equipment. The spacious clubhouse features a well appointed locker room, dining area, and more historical photos and golf collectibles that any golf nut could imagaine. 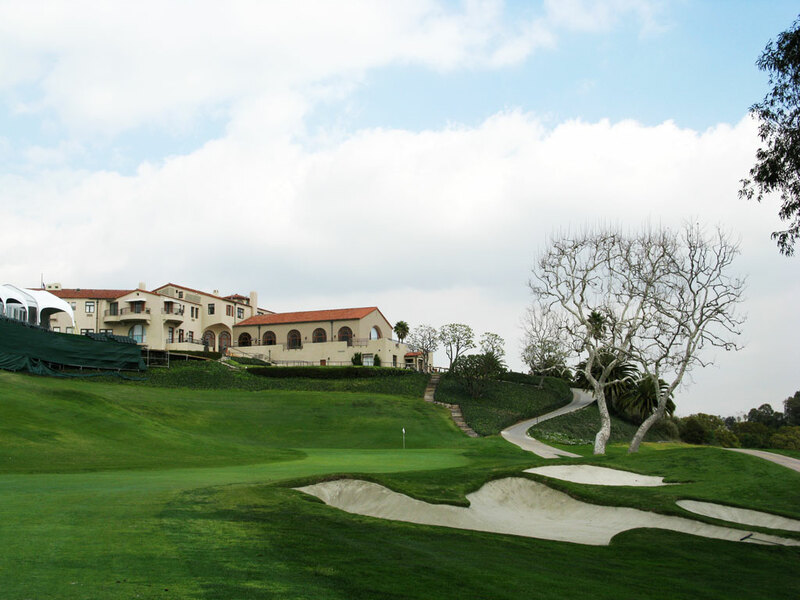 "Hogan's Alley", as Riviera is known, is an architectural masterpiece that highlights the Golden Age of golf course architecture and pays respect to the ambiance and roots of the game. 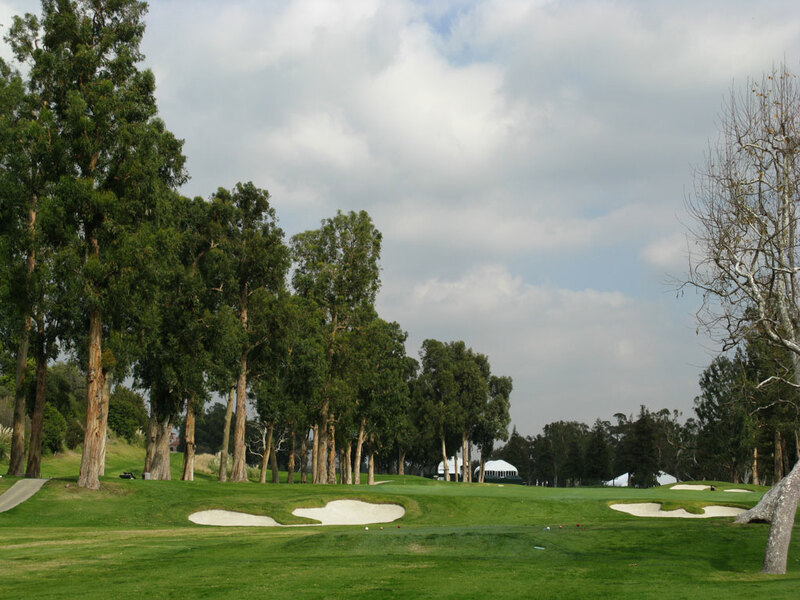 Signature Hole: 6th Hole – 175 Yard Par 3 – The 6th hole at Riviera is one of the most famous golf holes in the world due to one single feature; a bunker square in the middle of the green. While members and guests aren't allowed to pull out a wedge while on the green, PGA Tour players are the only ones allowed the play the hole however they choose. In fact, John Daly once made every golf superintendent across the country cringe as he took a foot long divot out of the 6th green on his way to scoring a double-bogey five. It is a great uphill par three that you are sure to remember; for good or for bad. 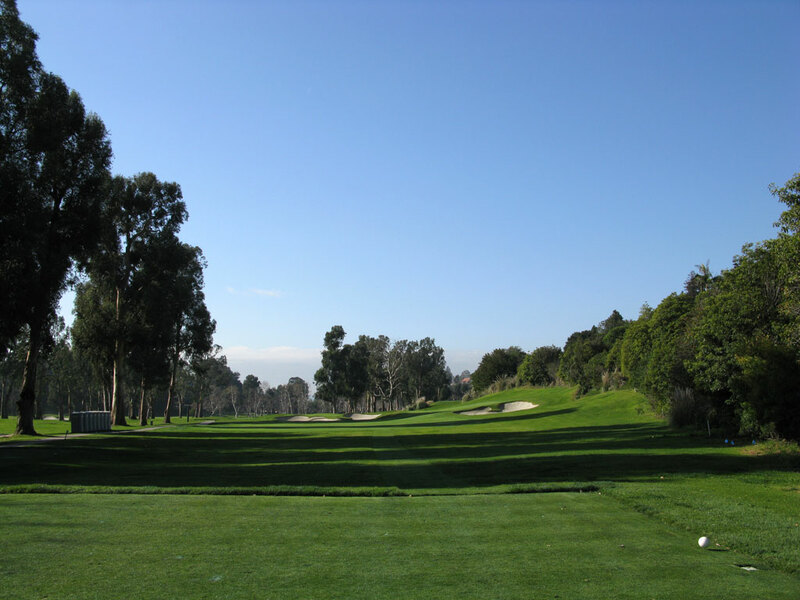 Best Par 3: 4th Hole – 236 Yards – This has always been a great par three, but it took on a whole new level of prominence in 1948 when the LA Times quoted Ben Hogan as saying, "It's the greatest par-3 hole in America." The large bunker in front of the green is superb and the side hill right of the green would be great if the kikuyu grass didn't hold every ball hit its direction rather than releasing it back towards the green. Best Par 4: 10th and 5th Hole – 315 and 434 Yards – Riviera is loaded with excellent par fours but none have received more attention than the short 10th. In fact, many golfers have called this hole the finest short par four in the world; and with good reason. George Thomas offers the player a variety of options from laying up short of the bunkers to playing left of them for the best angle at the green to cutting loose the driver and going for it all. Jack Nicklaus said this hole gave more options than any other short par four that he knew of. For the author, the impressive 5th hole featuring a drop off fairway paired with a plateau hill near the green is the most underappreciated two-shotter on the course and demonstrates some of George Thomas' best work. 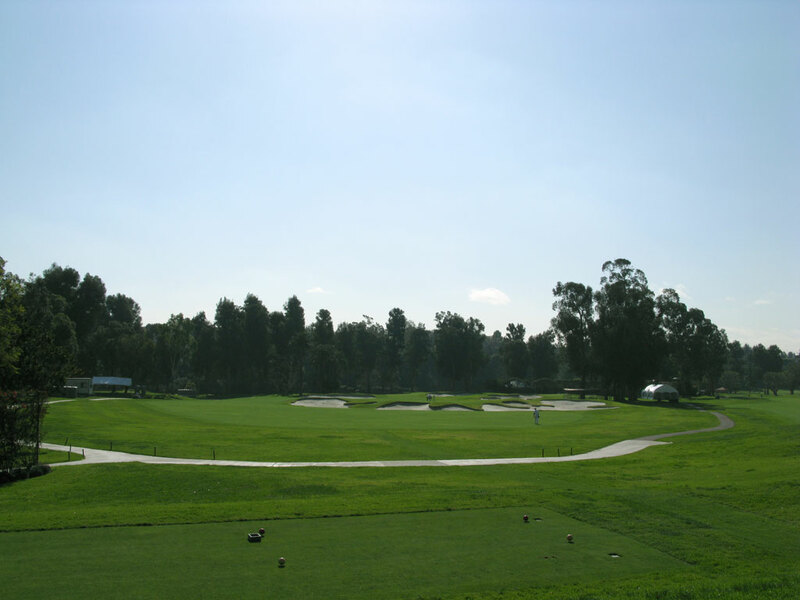 Best Par 5: 17th Hole – 576 Yards – If there is a weakness at Riviera it may be the quality of the par fives in relation to the architectural quality of the other holes, but the 576 yard 17th is certainly no slouch. 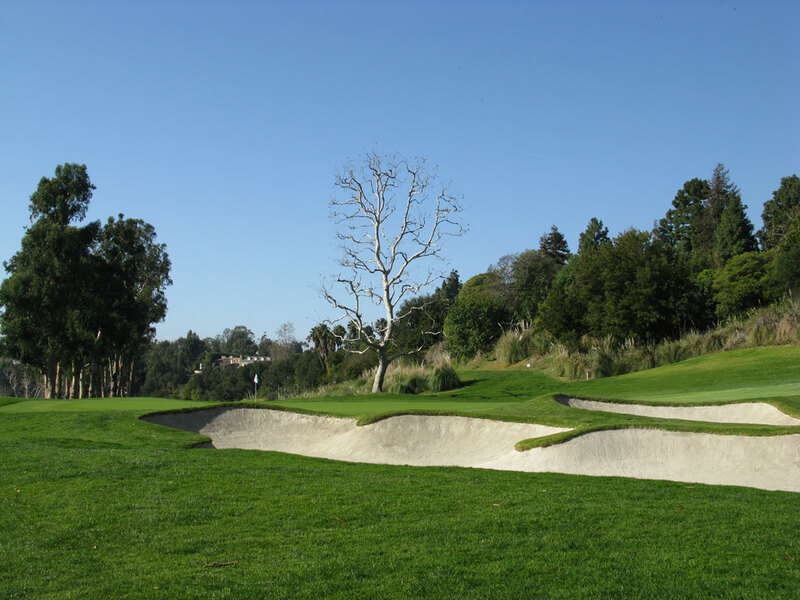 An uphill tee shot is required to a receptive fairway, however the golfer will find bunkers littered up the left side of the hole all the way to the green. The deception lies in the fact that there is 50 yards of grass beyond the bunkers seeminly fronting the green. Layup to the right side of the hole or rip it over the bunkers fronting the green and you are in great shape to score well here. 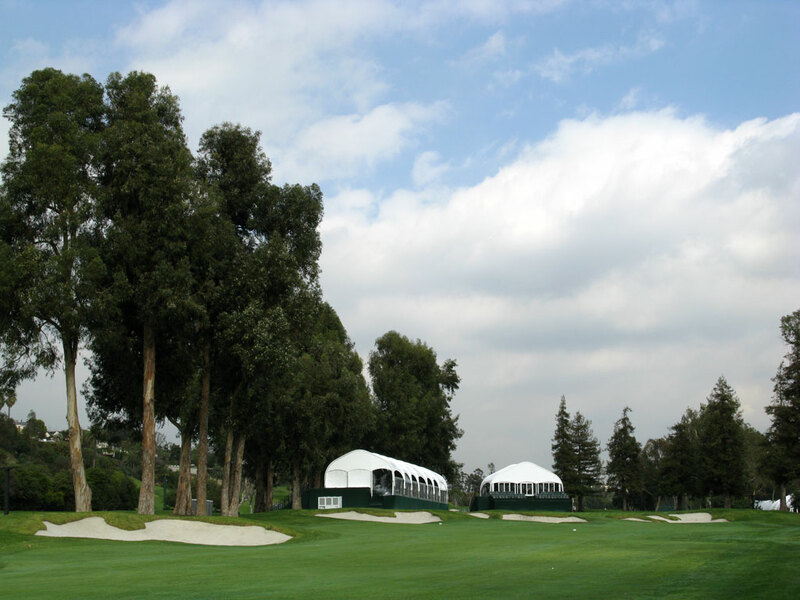 Birdie Time: 1st Hole – 503 Yard Par 5 – This hole has consistently ranked as one of the easiest opening holes on the PGA Tour as players have scored under par 60% of the time over the last few years. 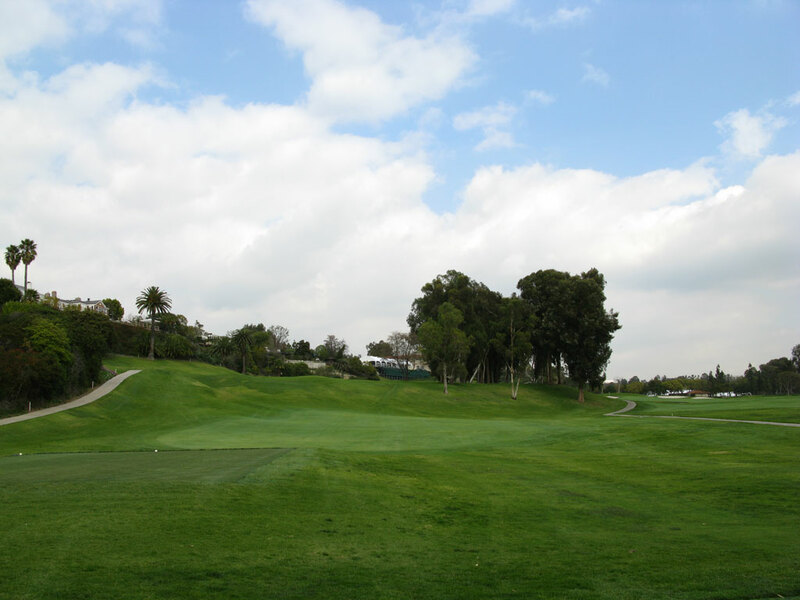 With a 75 foot drop from tee to fairway and just over 500 yards in total length, this hole is very reachable in two and the boomerang green is very large. 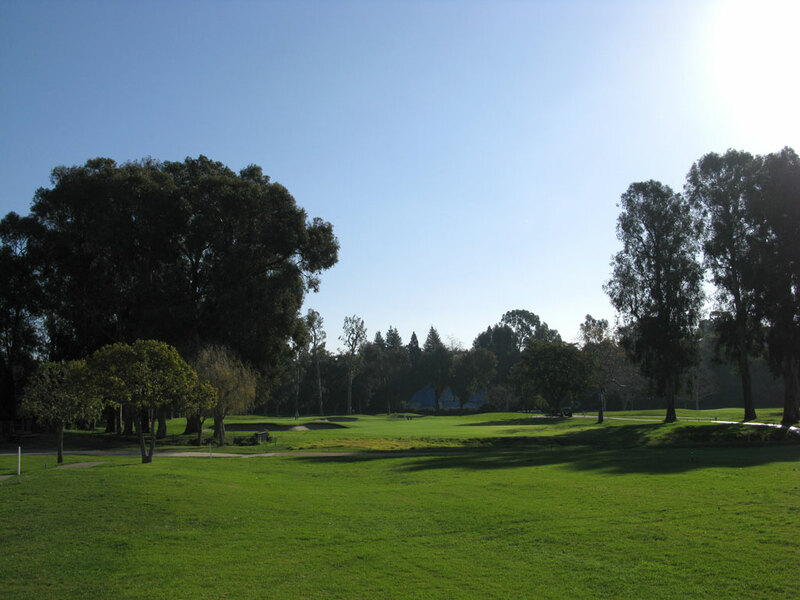 It is one of the most exciting opening hole tee shots you'll ever face and if you let your nerves relax so that you can let your tee shot rip then you are well on your way to carding a birdie to start the round! 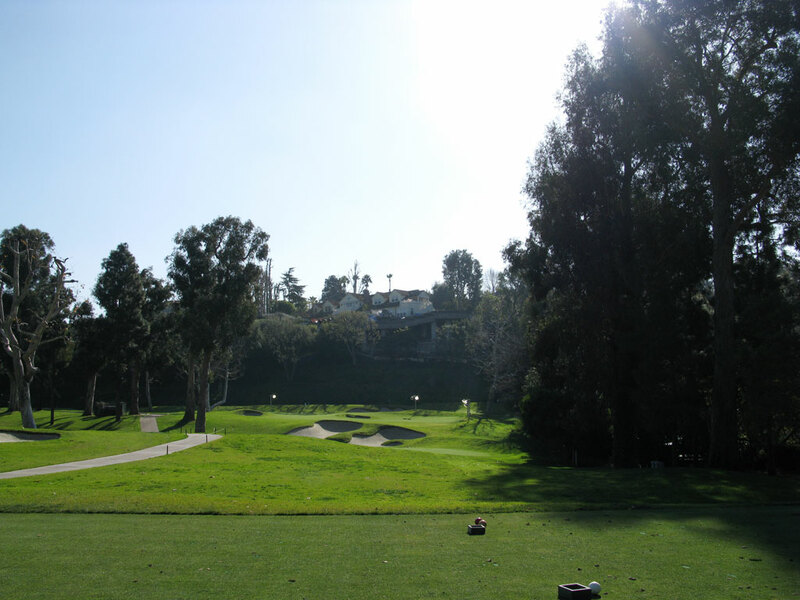 Bogey Beware: 18th Hole – 451 Yard Par 4 – There are plenty of times during a round a Riviera where bogey could be staring you in the face but I'm going to go with the club's storied and historic finishing hole as the toughest. 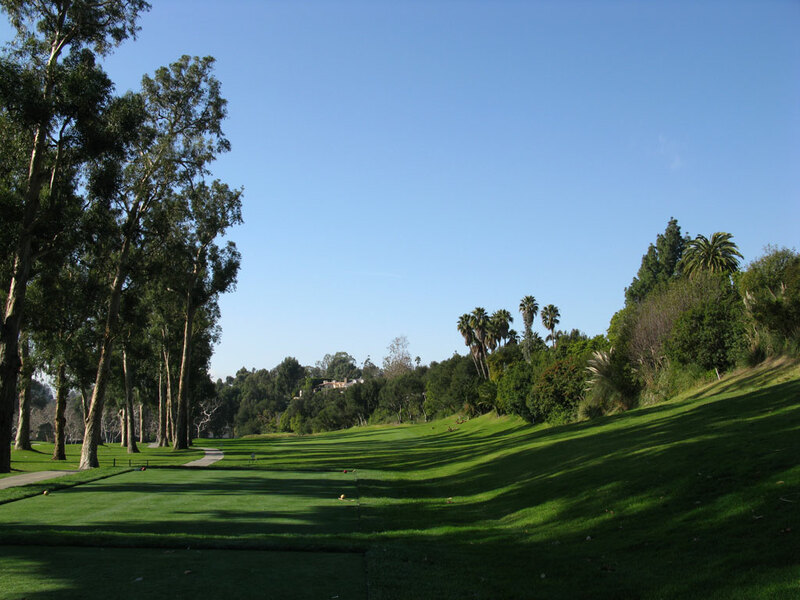 With an intimidating tee shot that must carry long and high to clear the hill and find the short grass, the player must play the tee shot far enough left to have a look at the green due to the fairway sloping hard left to right. The long approach shot is then played to a green sitting down in an amphitheatre setting where anything hit left will get held up in the rough leaving a difficult downhill chip. It is a great test and great hole to finish the round. Hitting an approach to this famous green is exciting and intimidating, click here to view a video of my effort.